The Standards and Indicators for Model Level I and II Trauma Center Injury and Violence Prevention Programs is the first to outline the five, consensus-based core components of a model injury and violence prevention (IVP) within Level I and II trauma centers. Each core component is accompanied by a set of voluntary standards and indicators to guide the design and implementation of a model IVP program. The guidance offers programs at all levels ideas on how their programs could be expanded or strengthened, while also providing concrete, consensus-based descriptions of what constitutes a model program — one more likely to deliver the shared goals of reducing the burden and costs of injury and violence in communities across the United States. The Safe States Alliance, a member of the Trauma Prevention Coalition, received funding from the Centers for Disease Control and Prevention (CDC) through National Association of County and City Health Officials (NACCHO) to conduct activities in support of strengthening trauma center injury and violence prevention (IVP) programs with a goal of improving alignment and collaboration with public health efforts. The standards and indicators are organized according to five core components that are essential for program success: leadership; resources; data; effective interventions; and partnerships. Indicators that would suggest the model standard is being met. To acknowledge the considerable variation in size and scope among Level I and Level II trauma center IVP programs, indicators are divided into two main categories: those that would apply mainly to newer or smaller, more basic programs, and those that would apply to mature or larger, more established programs. It is assumed that all programs have opportunities for improvement. For some, these opportunities may be concentrated in one or two components; for others, they may fall across all components. To provide additional details and context on the guidelines, we have prepared answers to a set of frequently asked questions (FAQs). Additional questions about the Standards and Indicators for Model Level I and II Trauma Center IVP Programs can be directed to TraumaIVP@safestates.org. Safe States Hospital Injury Prevention Special Interest Group members developed a set of assessment tools to assist programs with operationalizing the standards and indicators. The assessment tools are designed to assess a hospital injury and violence prevention program using standards and indicators for model programs. This tool will help administrators identify barriers that prevent the implementation of key indicators and/or opportunities to strengthen these indicators. By reviewing how the entire program currently operates with respect to each indicator and registering accurate examples/evidence on how the indicator is functioning/not functioning planning discussions and solution finding can occur in an organized manner. *Please note that the assessment tools are being piloted and revisions are expected. 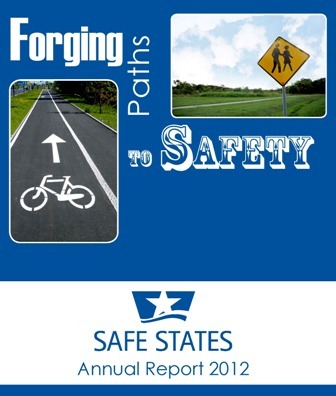 Safe States and NACCHO hosted a webinar to share additional background on the development of the Standards and Indicators and key findings. An expert panel of trauma injury and violence prevention professionals discussed its use and implications for the field. The purpose of this Special Interest Group is to provide a forum for Safe States members with experience in hospital trauma to express ideas, learn of best practices, and contribute to expert discussions with peers and colleagues. It is also a great way to stay informed about current developments and build a network of professional contacts in this field. Interested in joining the Hospital Injury Prevention Special Interest Group? Click here for more information.